It’s not my fault if I get caught short, is it? Its this blasted TCC thingy. I even forget I was wearing it this morning and went for a “pee”. Apparently He said the belly band actually worked – it caught my pee in the nappy liner inside it. No, They didn’t buy it, She made it, after checking out what was available on the webby thing. So, I hope everything is well Dench with you guys and that you’re having a grrrrreat weekend. Thank you so much. It has saved me from running off in embarrassment, but apart from forgetting about it this morning and doing a pee into it, I haven’t yet let myself down whilst wearing it! I think your belly pee pee band is very debonair, sophisticated, sauve, cosmopolitan. Thank you Sweet William. You make it sound like a very pleasant thing to wear: out of choice and not necessity. I’m getting up there also. Is this sort of like “Depends” for senior dogs? They’d have to redesign it for females and I’m not quite there yet (11 in July). Now, then my dear Kyla, here in the UK there are lady bands. Obviously not belly bands …. and here’s a link just so that you know were not kidding! http://www.dog-nappy.co.uk. But do try and avoid having to wear anything, unless it’s that booty of yours that you set a fashion trend for last year! OOOOH-it hits too close to home. They have a Scottie model the one that gets everything. Ouch. We think your band looks very much like a cumberband and as such is very stylish! I did think they were sending me to a “dinner and dance” Hey, if only I’d known I could’ve come along to the Valentines Ball wearing just my cumberband! It looks like a cumber band very cool! ..could you give me instructions on how to make a belly band like the one Findlay has..what is prognosis for this agressive form of cancer? We are so sorry to read about your beloved Sirius. Firstly I’ll let you know how the ‘belly band’ was made: I used a black hand towel and cut it into large wide strips. Then I bought the disposable baby nappies and shaped it into a flat strip. Placed it onto the black towel and wrapped it around Finlay’s belly, covering his little ‘boy bits’. I then measured where the overlap was and stitched and glued some extra strong velcro to either side to hold the belly band in place. He was then able to pee into the disposable nappy/diaper, which I would regularly change, without suffering any urine burns and the disposable nappy/diaper soaked up the urine. I made two of these belly bands, as sometimes were were a few leaks. Moving onto TCC itself, it is sadly a very aggressive form of cancer, and often a diagnosis is made when the cancer has taken a good firm hold and the tumour becomes inoperable. It usually is only managed by medicating with Metacam (or the equivalent in the country you are based). However, chemo and other other options may be available to you, which you can discuss with your vet, but can often make the dog more poorly to start of with – this is something you will need to discuss with your vet as he will be able to tell you what stage of cancer Sirius has. I wasn’t given the option of surgery as Finlay’s TCC was too far advanced, so it was just metacam for us, and lots and lots of loving. Sadly he was helped across the rainbow bridge 6 months after diagnosis. 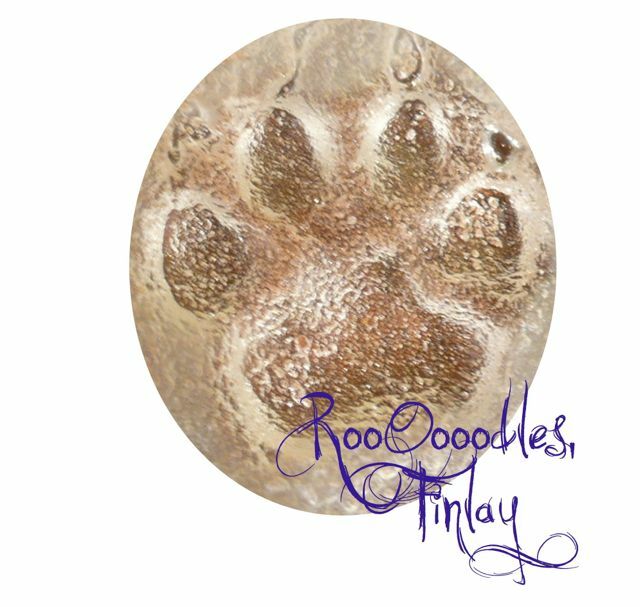 On a slightly more positive note, I run a Facebook Page called “Scottish Terrier Health Network”, set up after Finlay was diagnosed, to try and help others going through the same worry. 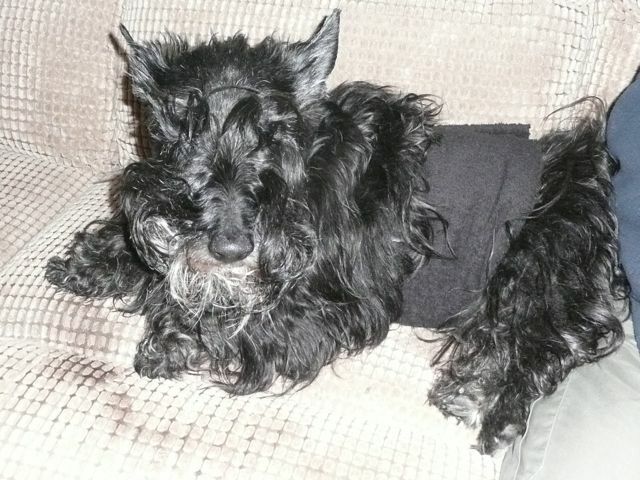 Sadly many of my followers on this Page have also seen their beloved scotties succumb to TCC, and as a consequence of this the followers are more than sympathetic with any family going through this. 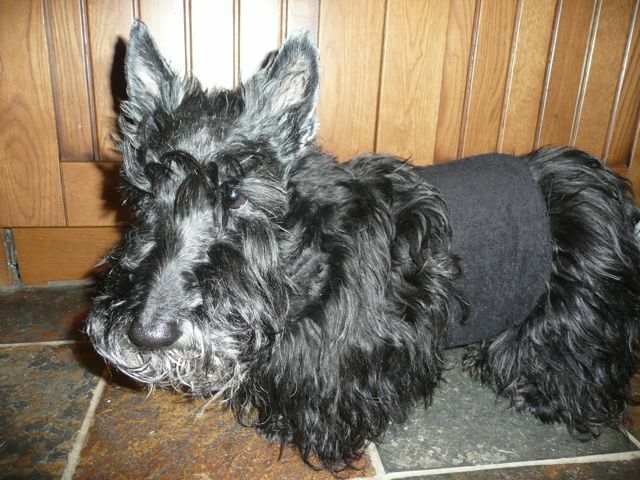 So perhaps, if you’d like to send me a photo of Sirius, I can post your question on to the Scottish Terrier Health Network so that you can hear and read how others have managed to help their scotties live as long as possible with this terrible disease. Send me your photo to our email address sparhawk@me.com or sparhawkscottiedogs@gmail.com and I shall get you as much help as is possible. Again, I’m so sorry that you are going through this..